Alison is only 14 but she knows what she wants to be when she grows up: A surgeon. It’s not easy to study, however, when you’re so exhausted and hungry you can barely get through 9th-grade biology. 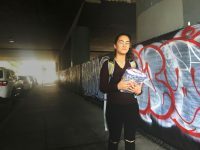 An immigrant from Colombia, Alison is one of more than 200,000 K-12 students in California considered homeless because they lack stable housing. And like most of those students, she lives with her family in a home shared with other families — in her case, two other families. Farmworkers in the fields surrounding Santa Maria in northwest Santa Barbara. Alison often studies on the bed that she shares with her parents who work in the nearby strawberry fields. The lobby of Santa Maria High School, where Alison is a student. As California’s housing costs continue to soar, more and more children like Alison are suffering the severest of consequences: No place to call home. Since 2014, the number of homeless children in California has jumped 20 percent. In the most recently released data, 202,329 young people are living in cars, motels, shelters, on the street or in crowded homes shared with other families. That’s just over 3 percent of the enrolled K-12 students, more than twice the national rate, but the actual numbers are almost certainly higher. Schools rely on parents to report their housing status, but shame, fear of deportation or the government taking away their children discourage many parents from truthfully answering the housing questionnaire — typically given to all families at the beginning of the school year. For families like Alison’s, filling out forms and staying on top of school requirements is not always easy. Her family, for example, has moved six times, including a stint in a rented van, since they left Colombia three years ago. EdSource is not using the students’ last names in this story to protect their privacy. By law, schools are required to identify and help homeless students, using state and federal funds to provide school supplies, extra tutoring, transportation to school or whatever else students need to succeed. 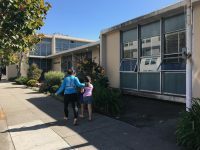 But an EdSource analysis shows that more than a quarter of California schools report no homeless students at all and provide no services — despite the fact that homeless students live in nearly every community of California, experts say. Most of California’s homeless children, 86 percent in 2015, are not homeless in the traditional sense, state data show. They live with their families and have a roof overhead, but share living quarters with other families because they can’t afford their own residence. These families tend to move frequently, and the constant noise hinders attempts to study or sleep. And privacy in the bathroom? Forget it. “When you’re living like that, you’re embarrassed to go. So you hold it,” Alison said. In school, homeless children face daunting challenges, and need social services and academic help perhaps more than any other subgroup. Faced with extreme poverty, stress and, like Alison, just plain exhaustion, those children are far more likely to struggle academically and drop out of school than their peers. The federal McKinney-Vento Homeless Assistance Act, enacted in 1987, and a state law passed in 2015 require schools to provide services to these students, and money is available through federal grants and the state Local Control Funding Formula. But the money is not nearly enough, and California does not receive nearly what it’s due, Hyatt said. In California, only 61 of the state’s 1,025 school districts received extra funds to support homeless children in the most recent round of grants, in 2016. In all, the state awarded $7.6 million in 2016, with the largest grants — $242,858 — going to districts like Los Angeles Unified, San Diego Unified and Fresno Unified, and grants as small as $15,704 going to 395-student Laytonville Unified in rural Mendocino County. 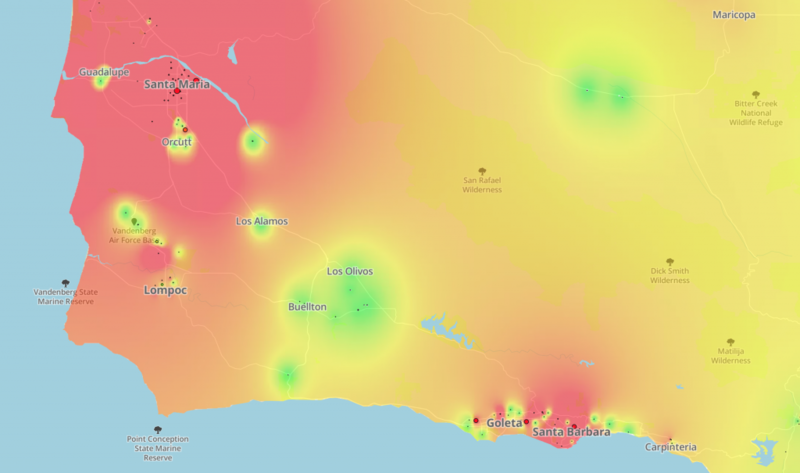 The distribution of homeless children in California varies widely. An EdSource analysis of state data reveals that while most homeless students live in large cities, some small cities and rural areas show even higher rates of homeless students. At one extreme is Baker, population 735, an isolated burg along Interstate 15 in the Mojave Desert where 52 percent of the students in the Baker Valley Unified School District are reported homeless. But in Piedmont, an exclusive Bay Area city in the Oakland hills, Piedmont High reported zero homeless students. Los Angeles Unified saw its number of homeless children double last year, to 13,763, or 2.91 percent of the total enrollment, but that’s partly because more families submitted the housing questionnaire, staff said. Perhaps no place in California bears the extremes of wealth and poverty more acutely than Santa Barbara County. Its rolling coastal bluffs are home to millionaire retirees, while inland schools, amid the broccoli and strawberry fields of the Santa Maria Valley, have some of the highest percentages of homeless children in the state. At Sanchez Elementary in Santa Maria, nearly half the students lack stable housing. 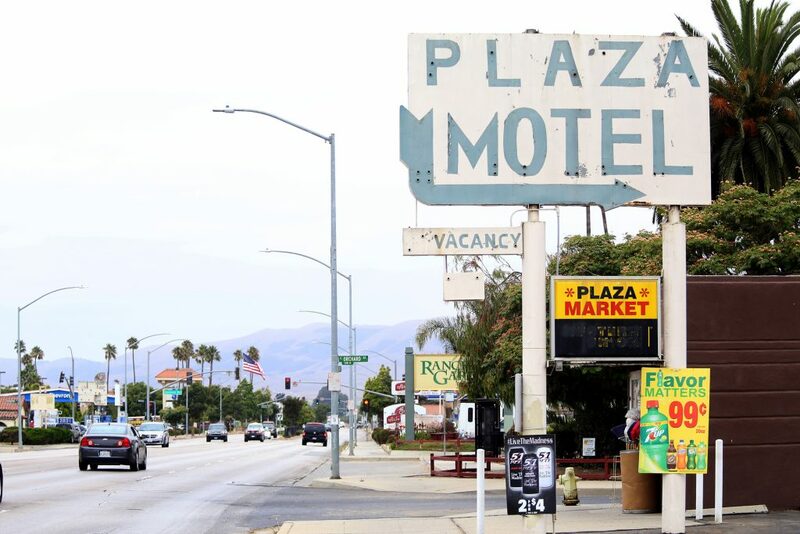 Santa Maria, in northwest Santa Barbara, has one of the highest rates of homeless students in the state. But homeless children are also found in the affluent southern end of the county, forced into living with other families due to the exorbitant cost of housing. 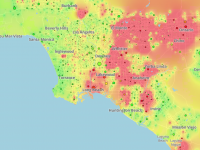 That combination of low-paying agricultural and service jobs coupled with high housing costs gives Santa Barbara County the highest rate of children living in poverty in the state, at 30.8 percent, based on local cost of living and federal poverty data, according to the Public Policy Institute of California. The county is a tale of extremes in another way, as well. Santa Maria-Bonita, where Alison attends high school, is one of the 61 districts statewide to win a grant to serve homeless students. With its $170,000 windfall, the district contracts with a nonprofit called Fighting Back Santa Maria Valley to provide services specially tailored to its 5,272 homeless students. But Santa Barbara Unified, 63 miles to the southeast, has 1,287 homeless children but did not receive a grant. For several years the district benefitted from a grant the County Office of Education received, but that grant expired in 2015 and was not renewed. 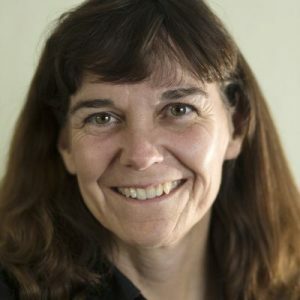 Now, Santa Barbara Unified as well as other local districts rely on school staff — who are already swamped with other duties — to identify homeless kids and refer them to services, said Dolores Daniel, program manager for the Santa Barbara County Office of Education’s Transitional Youth Services division. 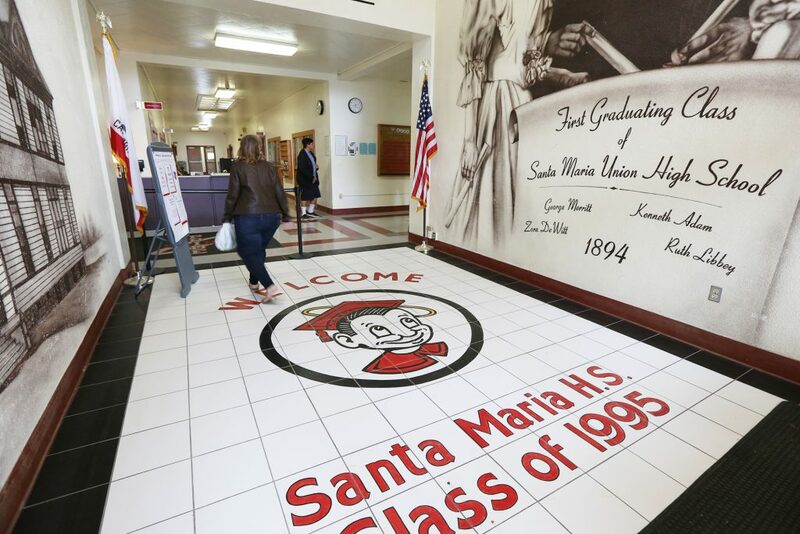 It’s a different story in Santa Maria-Bonita which reports 31 percent homeless students. The district and Fighting Back Santa Maria Valley provide homeless students and their families everything from bus passes and clothing to translators who speak indigenous Mexican languages. But the most crucial service, according to Fighting Back executive director Edwin Weaver, is home visits. Sol Messeguer works with Fighting Back Santa Maria, a non-profit agency that provides services to homeless youth and families in Santa Maria. School children gather for story time in the after school program run by Fighting Back Santa Maria. Sol Messeguer, a staffer with Fighting Back Santa Maria Valley, regularly makes home visits. She often drives children to school or takes them home if needed. Parents are often so busy and exhausted, working in the fields 12-plus hours a day, they don’t have time to attend school meetings or catch up on paperwork. This can be a particular challenge if their English skills are poor. So case workers will visit families at home and ask what they need for their children to succeed. In one case, a 10-year-old boy was an hour late for school every day. A visit to his home revealed that he was late because his parents left for work at 5 a.m. every morning and he had to get his 2-year-old brother to day care, then get himself to school. So the case worker arranged for a neighborhood mom to take the 2-year-old to day care and bought the 10-year-old an alarm clock. Now the child is on time every day. Sometimes, helping the parents is the best way to help the children, Weaver said. In Santa Maria, most of the parents work in the fields, leaving before dawn and often working until evening. Some get paid minimum wage, which equals $420 a week before taxes, while others get paid by the amount of produce they gather. 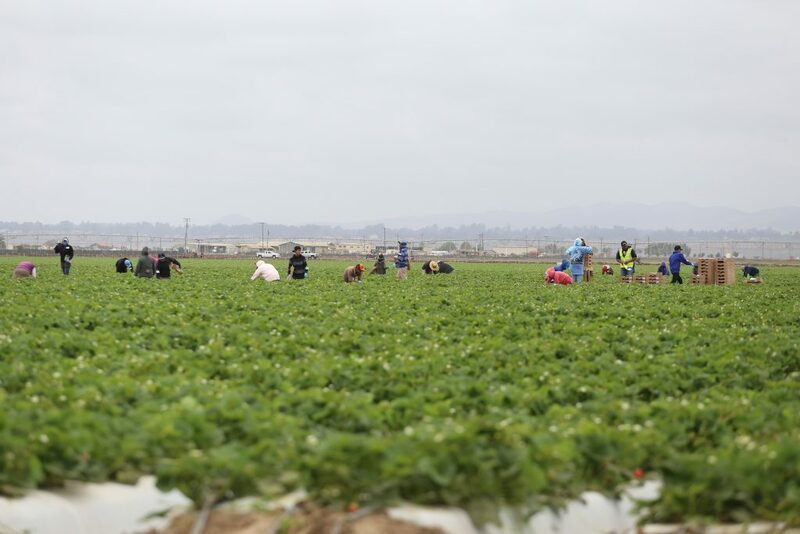 Strawberry pickers, for example, earn about $1 to $1.50 per box, according to the United Farm Workers union. Some of the Latin American immigrant parents have been working since they were 8 or 9 years old, have never attended school and can’t read or write, Weaver said. Between 5 and 25 percent don’t speak Spanish — they speak indigenous Mixteco languages from Oaxaca and other southern Mexico states. They face daunting challenges trying to get by in the U.S., but they’re unequivocal about what they want for their children: an education. “They say to their kids, ‘Do better than us. You can do better.’ They want their kids to have more choices than they’ve had,” said Moses Hernandez, a program specialist at Fighting Back. Fighting Back case workers help parents understand the basics of American education, such as how to read a report card, how to talk to teachers and how to fill out forms. 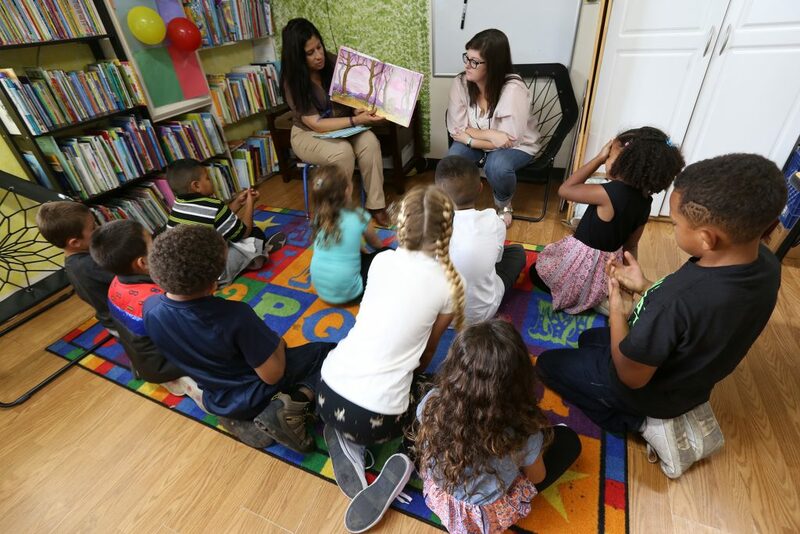 The district offers adult literacy and parenting classes, and shows parents how to promote literacy for their children even if they themselves don’t speak English or can’t read. Another nonprofit, Central Coast Future Leaders, helps homeless and immigrant students get to college. Students learn about college admissions, financial aid and choosing a career, and tour nearby college campuses. For many, college dorms are the first place they’ve slept in their own bed, and the most stable, quiet living quarters they’ve experienced, said Patricia Solorio, former Future Leaders executive director. Alison was among a few dozen immigrant teenagers from Santa Maria who took a Future Leaders field trip to UC Santa Barbara over the summer. The students slept in dorms, met college students who were also immigrants, got a taste of college life, and learned how to apply to school and get financial aid. These programs have been successful in propelling students out of poverty, Solorio said. In the past few years, Future Leaders alumni have gone on to Harvard, Columbia, UC Berkeley, UCLA, Yale and other top universities. But the best way to help homeless children does not involve tutoring or free backpacks, said Frank Rodriguez, an organizer at Cause, Central Coast housing nonprofit. It’s to give them a place to live. California housing costs, even in low-income areas like Santa Maria, are among the highest in the U.S., according to the most recent figures from the Council for Community and Economic Research. A rented bedroom in a house in Santa Maria can cost $800 per month, according to Craigslist, and the county vacancy rate is 1.1 percent. Communities need to fight for affordable housing and tenant protections, he said. Schools alone cannot solve the homeless crisis, he said. Lisa Coker, a staffer with Fighting Back Santa Maria Valley, a non profit agency that helps homeless youth and families in Santa Maria, distributes school supplies to students at Santa Maria High School. 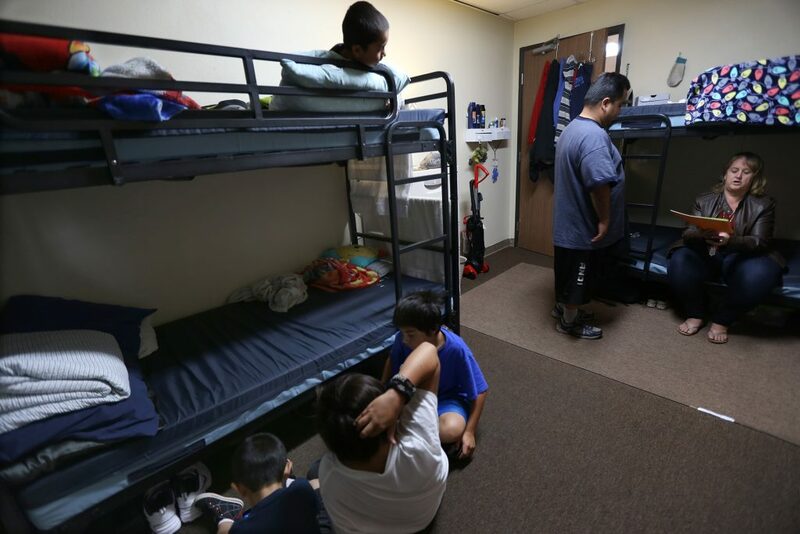 Coker also helps families seeking emergency shelter at Good Samaritan Shelter, where this family of two adults and six children share three bunk beds. The motels in Santa Maria often house homeless families. 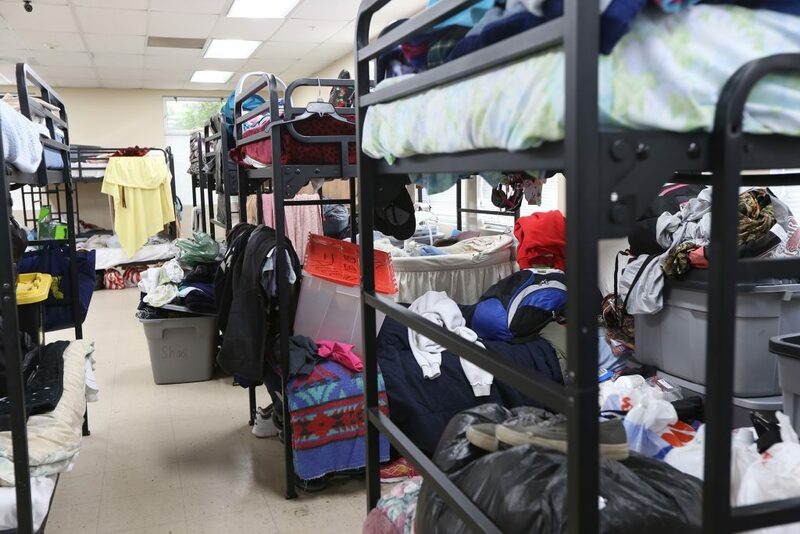 At the Good Samaritan Shelter, bunk beds are loaded with personal items. Homeless families can only stay in the shelter on an emergency basis. They must vacate during the day. But despite the challenges, California’s homeless children can be as idealistic and determined as their peers. They want to go to college and work, and some say they’re highly motivated not to be homeless as adults. Alison’s classmates had similar high hopes. Adriana, 15, wants to go to UC Santa Barbara and study marine biology or English literature. She was born in Michoacan, Mexico and now lives in a house with three other families, and shares a bed with her two little sisters. So when it’s too noisy to study at home, she goes to the library. Rowdy, 17, is from Mexico City and wants to be an artist or musician. Or maybe join the military, he said. He lives in a home with 22 other people. Fourteen-year-old Fany, who’s from Oaxaca, has only been in the United States a few months but is excited to learn English and goes to after-school tutoring classes to catch up academically. To avoid the distractions at her home, which she shares with three families, she stays late at school to study. Eventually, she wants to be a social justice attorney. Alison and her family were not always impoverished. In Colombia they had their own home and a middle-class lifestyle. But when local drug dealers threatened her father after he reported them to the police, the family fled — first to Peru, then Florida, and finally to California. In Florida, the family lived in a room with no furniture, not even beds. Her parents and older siblings worked as vegetable packers while Alison went to school. But after a few months the woman who ran the house, whose name Alison never knew, evicted them with just a week’s notice and no explanation. Unable to find new lodgings, the family rented a van and slept there. After another few moves, the family settled in Santa Maria, to be near relatives. They now live in a home with her uncle’s family and another family. Alison is working on her English, studying hard and determined to succeed. The hot spots tend to be in rural and small-town areas. In the Bay Area, they’re inner-city San Francisco, East Palo Alto, East Menlo Park, and parts of San Jose – no surprise – but there’s also San Mateo (seems odd), yet not Oakland, Richmond & Berkeley, which have many poor. In the L.A. area, they are the “blue collar” and “middle class” areas of Long Beach, the San Gabriel Valley, the Inland Empire, and Orange County but not the poor areas of inner-city L.A. Maybe many homeless families don’t want to admit it. I’m thinking the answer is to make California a sanctuary state. Bring in more poor people, from all over the world, to compete for jobs with the locals. Give them incentives to come, like free expensive education, no or low taxes, medical care, housing help, etc. Wait. It’s already happening. Can’t come up with anything else.to solve the homeless problem. Maybe force the rich, like Oprah, Streisand to share their extra bedrooms with the homeless, might be a help. Unfortunately, these are often the unintended consequences of an open borders world. People will always cluster in areas with resources and it is really difficult for government to keep up with the building of infrastructure to support large movements of people. We are really just now dealing with the effects in California of a large movement of people that took place in the ’80s-00s. It is irresponsible for an impoverished, homeless couple to birth six children, so when did it become taxpayers’ responsibility to house, feed, educate, take care of them? You’re right jill. We should definitely punish those kids by letting them freeze, starve, and not get an education. Obviously it’s their fault their parents gave birth to them. Thanks for reporting on this. I would like to learn more, a lot more about this issue, so I can ask better questions. I suspect we have some data malpractice in some of this. First, the map, while super interesting, I think ends up being a map of *small schools* instead of a map of homelessness because of the way it uses percentages. Second, I too am skeptical that there was a large surge in actual homelessness between 2014 and 2016, and would wonder if that might be about better reporting. Third, I would love to see in the future some of the differences within the population teased apart. As many of us in rural areas know, we see many of these same problems even among families living in houses, so I wonder if we’re asking the right questions here. There’s little mention of the issue of undocumented persons in this article. Do you think an unwritten policy ignoring immigration law going on decades plays a role in the number of those who are homeless in this country? It is unrealistic to think we can have unfettered immigration, especially illegal immigration, regardless of the strength of the economy, the amount of national debt, the capacity to absorb new immigrants and the ability to provide services without having new arrivals struggling to survive. We are not a bottomless fountain of wealth. California is now officially the most poverty stricken state in the country surpassing West Virginia. And it is politically incorrect to talk about the relationship between undocumented immigration, poverty and governmental debt. How was the homeless student data collected, and was there an explanation for the jump in homeless students? Were there more families that were living in situations that would be deemed as “homeless” in 2016, were there children (or additional children) added to an already homeless family, or was it perhaps just a result of better data collected by school districts for LCFF?